Krang and Shredder decide to use Ireland as their base for the Technodrome. With a device called the Rainbow Trans-Charmer, the villains intend to turn harmless little creatures like sheep and rabbits into slavering beasts. 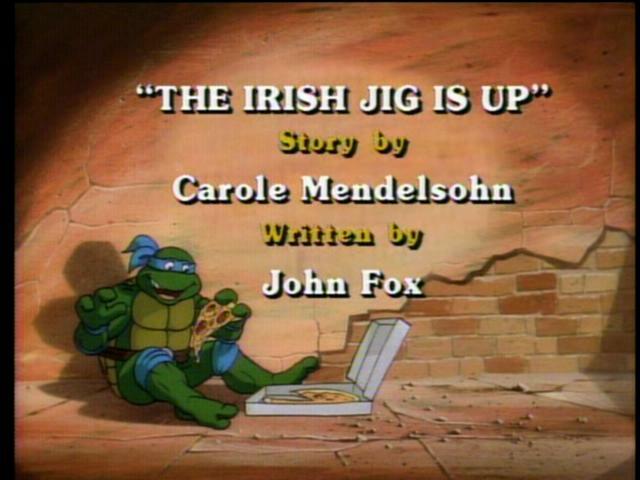 The Turtles and Splinter, vacationing in Ireland, are attacked by the monster-sheep and track Shredder, Bebop and Rocksteady to the Dublin Zoo, where they are transforming the animals. April, who is also in Ireland, gets trapped by the now-fierce animals in the petting zoo, and is rescued by the Turtles. Krang decides to pull the castle (where the Turtles are staying) up through the Dimensional portal. But Michaelangelo gets hit by the transformer and turns into an Arnold Schwarzenegger of a turtle and defeats Shredder, using his great strength to pull the castle down to Earth, overloading Krang’s portal generator.